Different pipes carry water to and from your toilet, and each pipe has a different diameter. If you plan to install your own toilet, you have to know which size pipe to use for each plumbing route. While there is some leeway in the size of pipe used for your toilet, it is always best to stick with the standards for a smooth installation. Toilet pipes come in certain standard sizes. 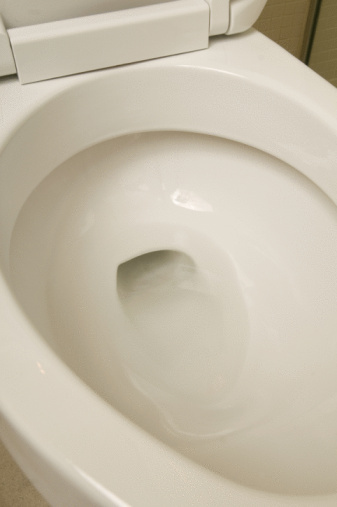 The drain pipe in your toilet carries waste away into the home's main drain line. The standard size for a toilet drain pipe is 3 inches in diameter, but drains up to 4 inches in diameter are often used. The drain pipe connects to the flange, which mounts the toilet itself, and this flange is usually built to connect to 3-inch, schedule 40 toilet drain pipe. In most homes, PVC drain pipe is used instead of metal pipe. The supply line to the toilet is standard 1/2-inch copper pipe. This standard is used throughout the home to supply faucets, showers and any other appliance requiring water, including the washing machine. This 1/2-inch pipe connects to the home's 3/4-inch water pipes. The water supply line does not run directly to the toilet, however. A supply tube connects the supply pipe to the tank. 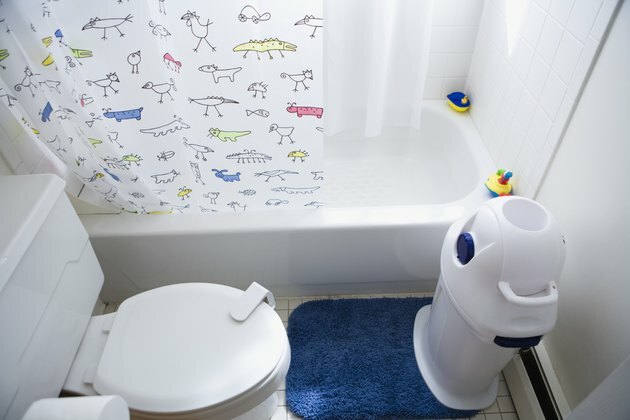 The closet bend is the elbow joint underneath the toilet that connects the vertical toilet drain pipe to the sloping drain pipe leading to the home's main drain stack. The closet bend actually has two diameters because it connects the 3-inch drain pipe to the 4-inch drain line. The top of the closet bend is 3-inch diameter pipe, while the other end is 4-inch. This pipe fitting is set under the toilet in the floor joists or ground (in toilets on concrete slabs). The drain line leading from the closet bend to the drain stack is 4 inches in diameter. This is a standard size pipe for toilet drains in most homes, and all main drain stacks usually consist of 4-inch-diameter pipe. However, some homes may have a smaller drain pipe diameter. In this case, a reducing connection attaches the closet bend to the main drain line. A 4-inch drain pipe stack supports the use of up to 500 fixtures. Only large industrial buildings, apartment complexes or high rises have a need for larger-diameter drain pipes. What is the Common Water Line Size Under a Sink?